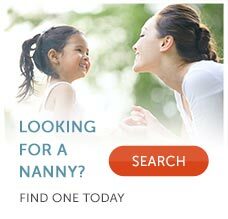 There are many ways for your nanny to begin to engage your baby. Many of the ways in which we engage with newborns is through touch, movement, and listening to each other. Have your nanny wear your baby in a sling or hold your baby as close to her body as possible when you yourself are not wearing your baby. When close to you or your nanny like this, your baby will benefit from the warmth, your natural movement and your natural smell. Have your nanny have gaze-time with your newborn. They can gaze at each other by having the nanny hold her and look at her face, making eye contact, and mimicking expressions (mirroring your baby). This game can be quite exciting to your newborn and will help build the relationship between your nanny and your baby. Your new nanny should also start to listen to your baby’s language and expressions. When your nanny watches your baby and mimics her movements or expressions this is a type of play that engages your baby on a brain level. Something else you may need to talk to your nanny about is that every moment with your waking newborn is an opportunity for engagement. No matter what your nanny is doing (i.e. washing dishes, doing laundry) and baby is nearby, your nanny should use her voice and talk about what she is doing. Babies love to hear the different intonations and inflections in your voice. You’ll see the baby become captivated and engaged. Changing your baby’s diaper can be an excellent opportunity for your nanny to engage with your baby. When changing your baby’s diaper, make eye contact with your baby, touch your baby’s tummy and toes and head, make cooing noises and move your lips in an exaggerated way. Your baby will be captivated. Another way to engage with your baby that I can not stress enough is, when your nanny is holding your baby, she should be swaying, humming, wearing your baby and walking around so that your baby becomes stimulated by all of the visual activity, noises, etc.